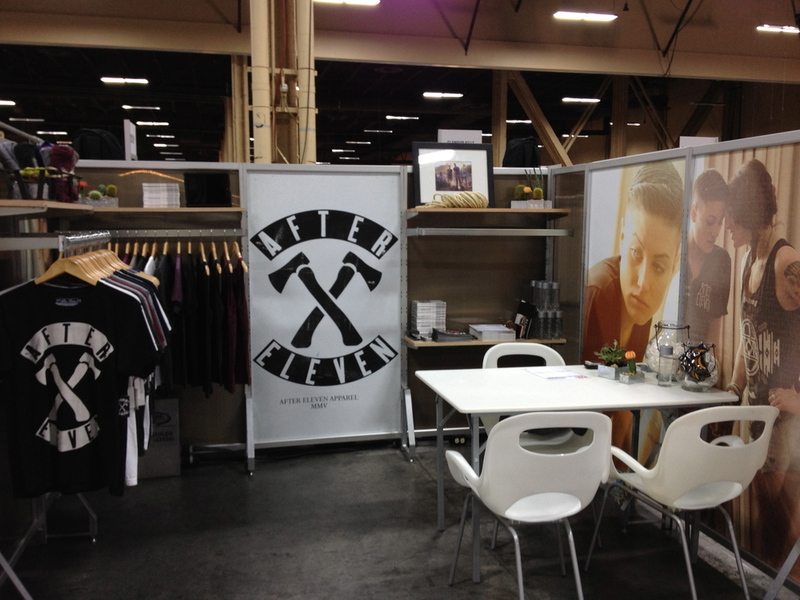 Booth design and buildout for After Eleven Apparel. I used inspiration from the brand's action sports positioning and created an display of painted surf fins along with black and white prints to convey an unconventional surf-centric design style. Mixing the surf elements with dark wood and industrial details created a sophisticated and tailored look for the brand that was on-trend for the season as well as the setting. Custom built table wooden table and stools. Signage and altering or affixing anything to the walls was prohibited.